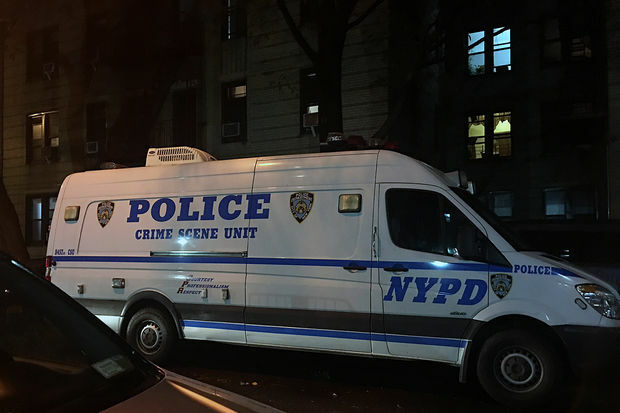 A woman was fatally stabbed by her long-time boyfriend inside her Washington Heights apartment on Dongan Street Tuesday, police sources said. WASHINGTON HEIGHTS — The boyfriend of an Upper Manhattan woman who was beaten with a dumbbell and stabbed to death has been charged with her murder, the NYPD said Wednesday. Police found Claudina Cruz, 63, covered in blood in her apartment at 25 Dongan Place about 12:45 p.m. Tuesday with the help of the victim’s concerned sister. Cruz had spoken with her sister about 6 p.m. Monday, according to the building's superintendent, Victor Ramirez. When her sister called back Tuesday morning, Cruz didn’t answer and the sister began to worry, Ramirez said. A friend asked the super to check in on Cruz, but he didn’t have an extra set of keys, so they called the police. Inside the fifth-floor apartment, police found blood throughout the kitchen, bedroom and bathroom, the super said. Cruz had multiple stab wounds to her torso and bruises on her head, while her boyfriend, Julian Perez, 60, had stab wounds on each wrist that were likely self-inflicted, according to the NYPD. Cruz was pronounced dead at the scene, while Perez was transported to Columbia Presbyterian hospital. Officers recovered the dumbbells and a knife from the scene, a law-enforcement source said. Perez was charged with murder Wednesday, according to the NYPD. The couple, who had no children, had lived at the Dongan Place apartment for more than 13 years and did not have a history of fighting, Ramirez said.